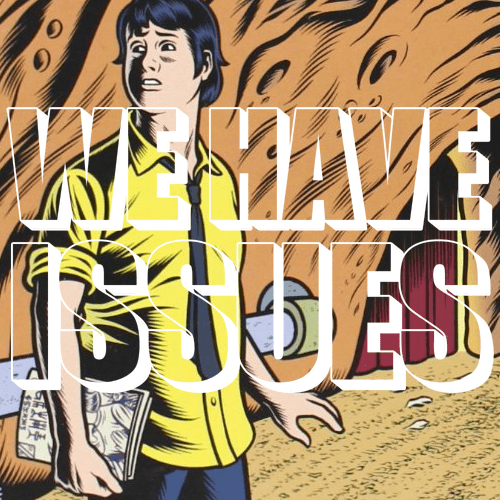 Introducing We Have Issues – the next weekly comicbook podcast recorded in Southampton, England, on Thursday nights. Jane leaves the baby pool, Nick finds it embarrassing how bad he is, and they both talk about their relationship with comics. Tagged Anne Emond, Charles Burns, David Wynne, Debbie’s Inferno, Eagle Magazine, Laurel And Hardy comics, Michael Georgiou, Peter Hammerson, Rachel And Miles Explain The X-Men, The Hive, We Have Issues.